As everybody knows, visa requirements, rules and procedures keep changing. Therefore we would like to give you an update about the new requirements for the ED visa. The Thai ministry of education is requesting a criminal background check for new students and students getting a second-year ED visa. So, if you are a new student or applying for a new year this only applies to you. The good news is that for most nationalities you can obtain this National Police Certificate online. When this is not possible for your nationality you must apply to the consular section of the nearest embassy of your country. So for example, if you are French you can obtain the police certificate online, but if you are Russian you have to visit the nearest Russian embassy. Please find the websites below for nationalities that can apply online. 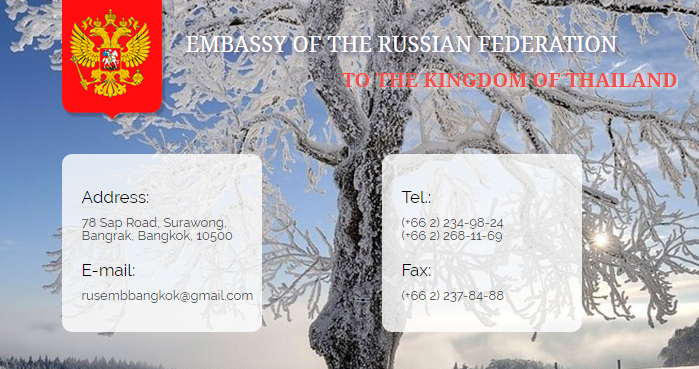 Please find the information for Russian citizens below. To obtain the Police Clearance Certificate the following documents are required. Dinner event KSTVS Chinese Teacher needed!